The City Government, through the City Tourism Division attached to the Office of the City Mayor, in partnership with the different key city and national offices concerned with tourism, recreation and special events; Non-Government Organizations (NGO); and People’s Organizations (PO); based on its underlying vision, do hereby aspire to make Baguio the “Tourism Mecca” of the North. The Summer Capital shall be showcasing an incomparable mixture of ecological charm and architecture marvel while maintaining existing patrimonial assets; featuring wholesome family-friendly events and tourist responsive amenities; boasting of a clean, green, safe and traffic-congestion free city; and a model of a constituent sustained tourism industry. The City Government in partnership with the different key city and national offices concerned with tourism, recreation and sports; Non-Government Organizations (NGO); and People’s Organizations (PO), based on the aforementioned vision, do hereby set the following objectives, achievable within the next three years, as continuing steps to achieve its mission. 4. 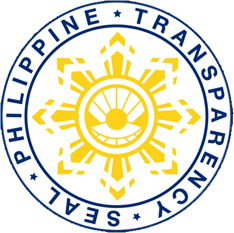 To establish an inter-government office link-up and an informative web-page that would be a model for other LGU’s to follow, in terms of technological advancement, speedy disposition of paper works, and enhanced public service; C.
4. To accredit non-government entities and devolve functions being implemented by the government’s limited resources (i.e. tourist reception and guiding, tourism-related trainings and programs, etc. 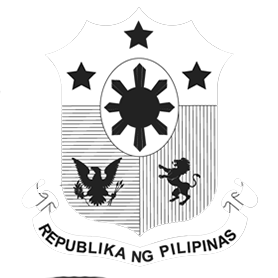 ), with emphasis on the participation of the academe (HRM, Tourism, and computer courses). 5. To take the lead role in organizing, planning, coordinating and managing the Panagbenga Flower Festival as warranted by the City Council Resolution granting the Mayor Chairmanship of said event. 3. To promote camaraderie between Baguio and its sister cities and the ideal of bayanihan in the occurence of unfortunate incidents requiring external aid. 2. To develop viable bases for assistance to decision makers with regards to collected data, deriving from which appropriate actions and measures for improvement moreover sustenance of ideals and thrusts. 3. To create an atmosphere that promotes the effective participation of the private sector in upholding standards of tourism and by encouraging participatory governance in citywide development. 3. To create avenues for zealous participation of Tourism Stakeholders in projects and programs of the City that develop the Tourism Industry.